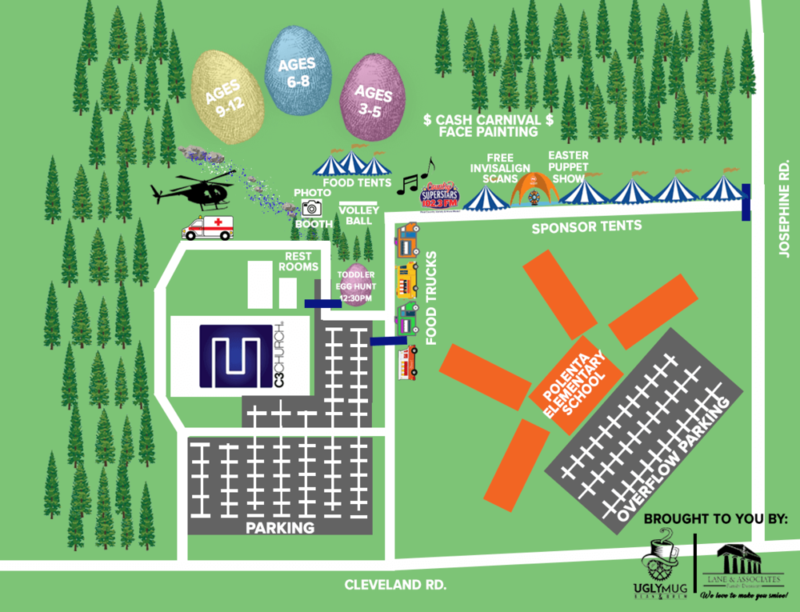 Thank you to all of our egg-ceptional attendees, sponsors, and the entire community for a successful Eggstravaganza 2019 Event! Check out our 2019 Event photos and blog here! Ever seen 25,000 Eggs drop from a Helicopter? Now’s your chance! Join us on Saturday, April 20th from 12-4pm at the C3 Church in Garner, NC. We will have Carnival rides, bouncy houses, Food Trucks, Music, Entertainment, an Easter-themed photobooth, and 25,000 Easter Eggs!! This event is presented to you by Lane & Associates Family Dentistry and Ugly Mug Bean & Brew! 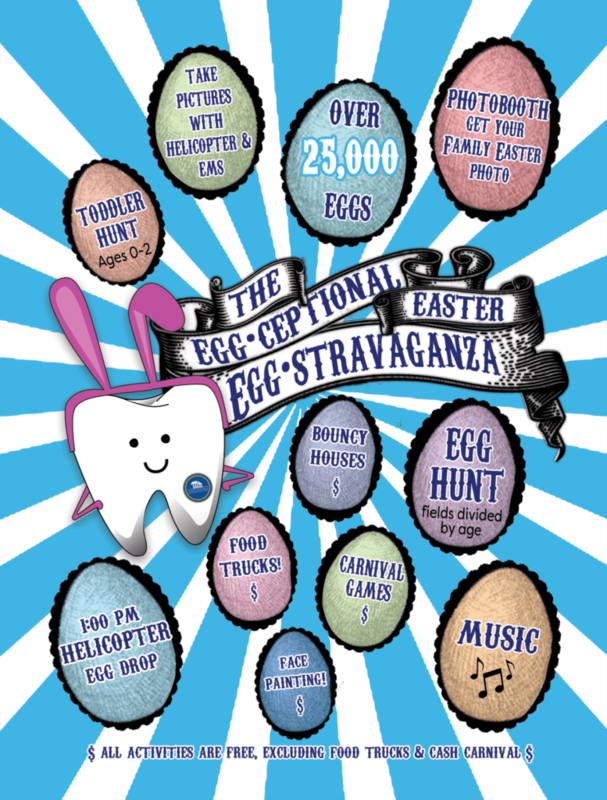 This event is for the entire family and each age group will be divided into sections for the Egg Drop. What a wonderful way to celebrate and spend time together this Easter. Parking is FREE and will be available in the C3 Church parking lot with an overflow parking lot at Polenta Elementary School (SEE MAP BELOW!). The Cash Carnival is $1 per ticket. Carnival games are 1 ticket each while Carnival rides are 3-5 tickets each. We will have a bundle option of $20 for 25 tickets. Get there early!! We will be giving out Easter buckets to the first 500 kids that arrive! FIND THE GOLDEN EGGS!!! 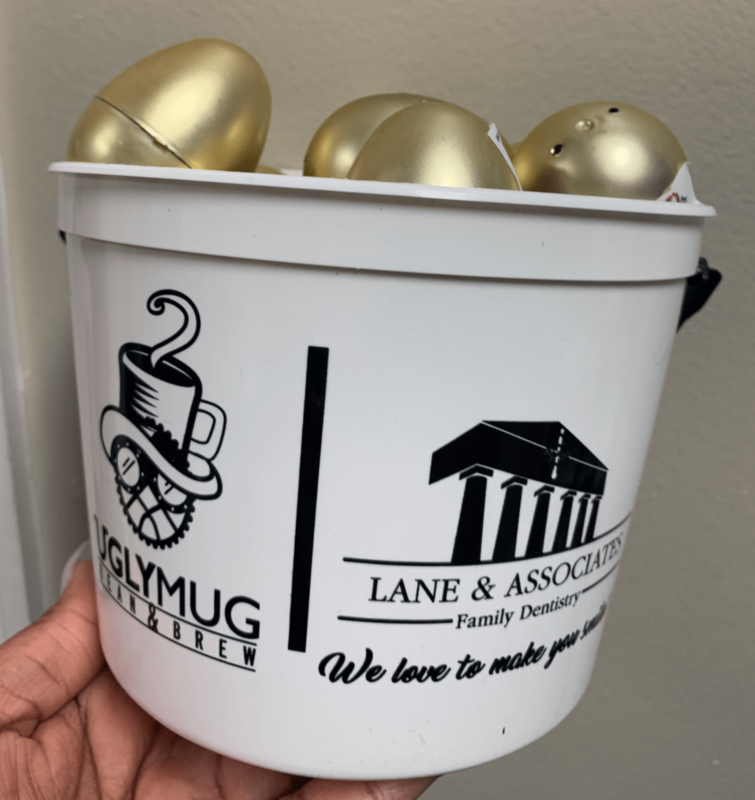 Be on the lookout for these golden eggs which hold extra special prizes from our sponsors! Feel free to bring your own lawn chairs and picnic blankets! We will also have some seating and a food tent in place to eat underneath. FIND THESE GOLDEN EGGS FOR A SPECIAL SURPRISE! 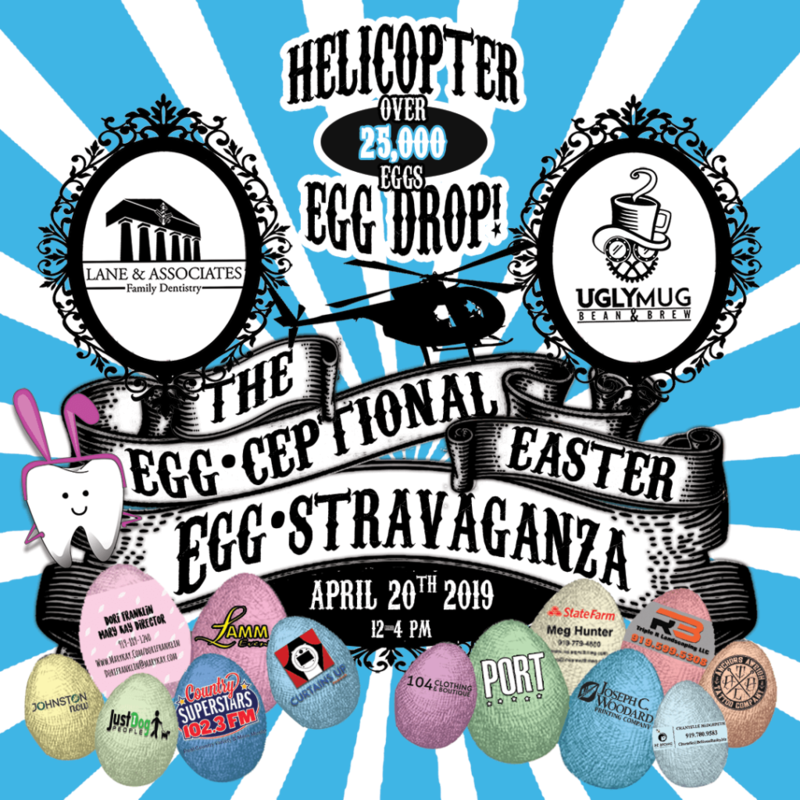 1:00-1:20 pm – HELICOPTER EGG DROP!! !